People’s Center Health Services is thrilled to be one of the sponsors for the upcoming Cedar Riverside Youth Awareness Week hosted by the Cedar Riverside Youth Council! 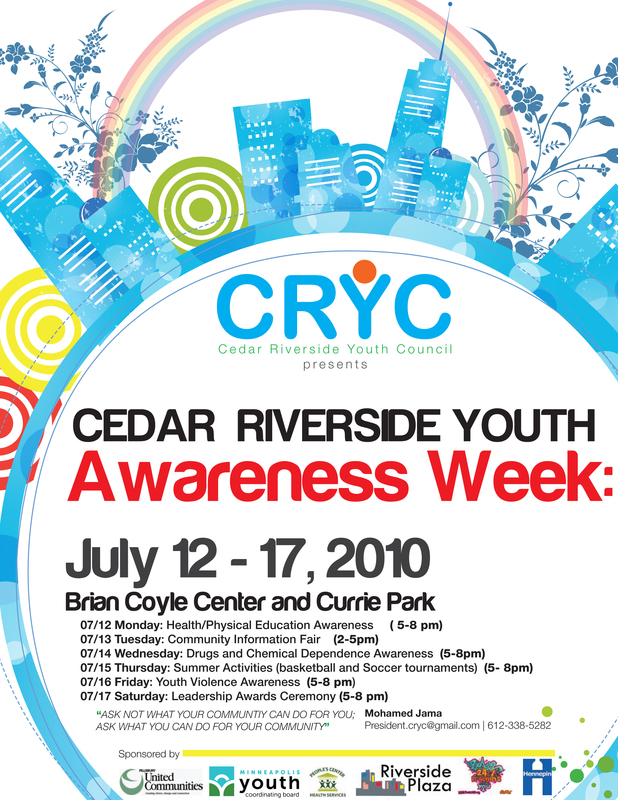 The Youth Awareness Week will take place July 12 – 17, 2010 at the Brian Coyle Center and Currie Park. 7/12 Monday: Healthy/Physical Education Awareness (5-8pm). People’s Center’s Kathryn Hang will be presenting on Nutrition and Healthy Living. Kathryn is a Clinical Dietitian, Nutrition Educator and she also hosts a weekly FREE “Shape Up” class to help adults and youth develop a healthy life program. 7/13 Tuesday: Community Information Fair (2-5pm). People’s Center will be setting up a table to share information about our services and to hand out some really awesome free buttons, make sure you pick one up! 7/14 Wednesday: Drugs and Chemical Dependence Awareness (5-8pm). 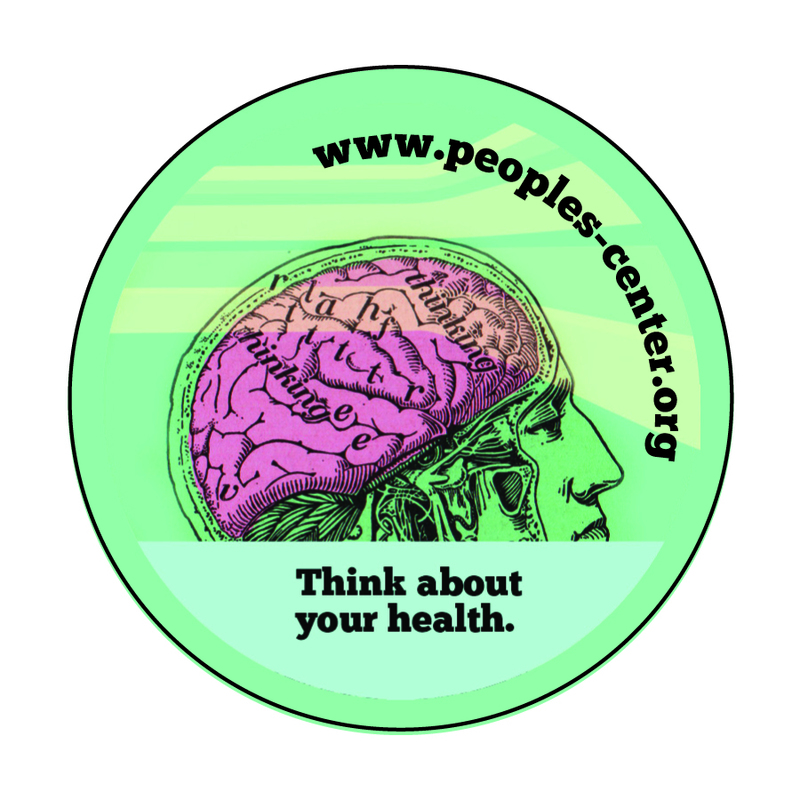 People’s Center will also be setting up a table to share information about some of our behavioral health services (don’t worry, we’ll still have the cool buttons on Wednesday too). 7/15 Thursday: Summer Activities (5-8pm). Basketball and Soccer tournaments. 7/16 Friday: Youth Violence Awareness (5-8pm). 7/17 Saturday: Leadership Awards Ceremony (5-8pm). It is fantastic to see this kind of leadership and organization from the Cedar Riverside Youth Council. Come show your support for this amazing group of young adults, who really understand what it means to “Ask not what your community can do for you; Ask what you can do for your community.” For further information please contact the President of CRYC, Mohamed Jama at president.cryc@gmail.com or 612-338-5282. This entry was posted in Cedar Riverside, Twin Cities, Youth. Bookmark the permalink.